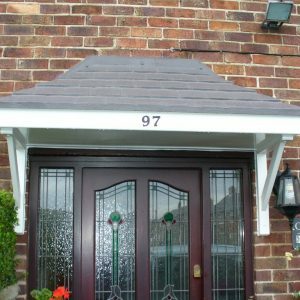 The Lerwick door canopy has an attractive sloping reproduction tile roof (available in a choice of grey, brown or terracotta tiling) with a white base. 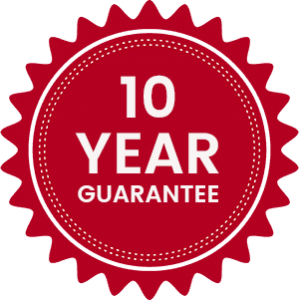 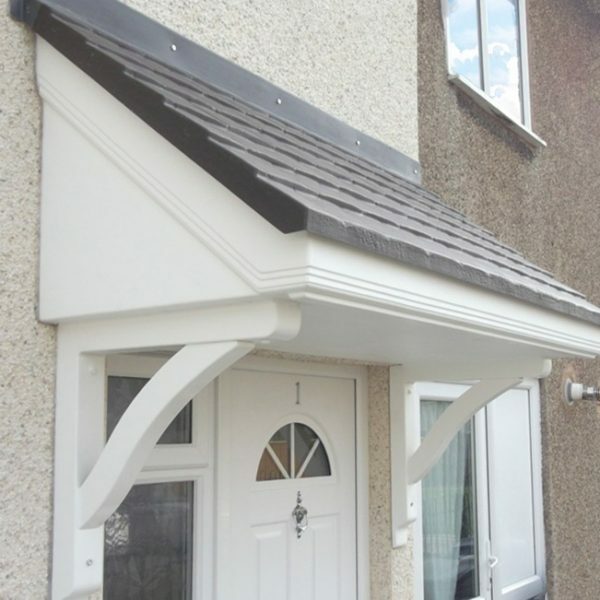 The canopy is made from moulded Glass-Reinforced Plastic, which is very simple to clean and extremely long lasting. 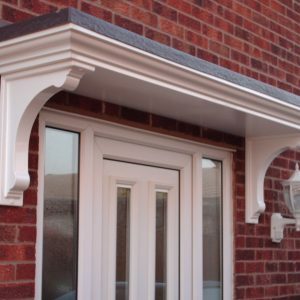 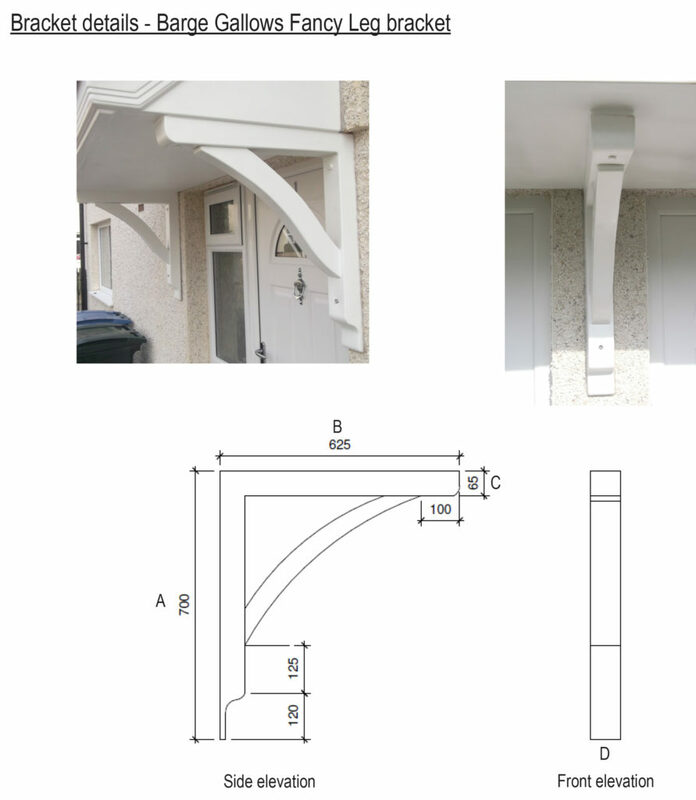 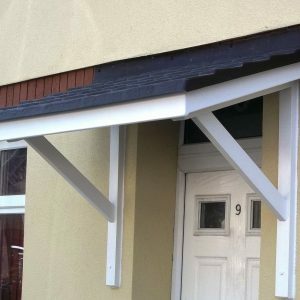 Projecting out from your house by 0.75 metres, the Lerwick overdoor canopy is available in a range of widths, and comes fully assembled along with a choice of plain or decorative brackets to enhance the appearance. 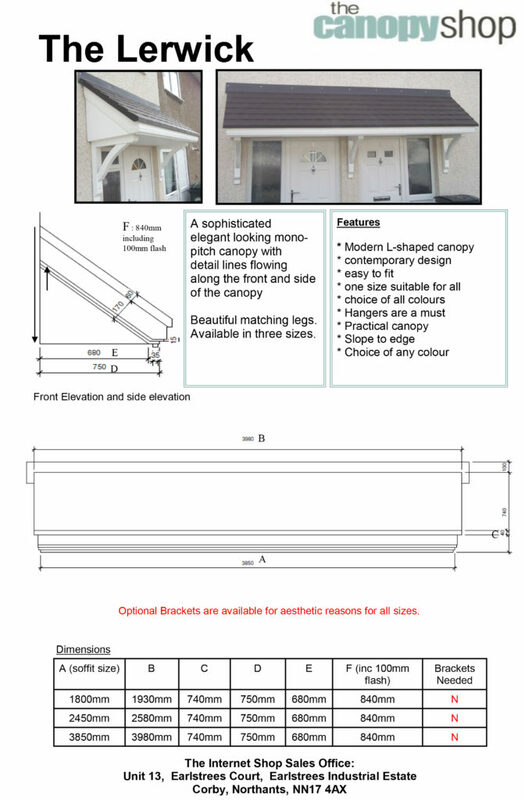 Please Note: These canopies DO NOT require brackets for additional support, however brackets are available for aesthetic reasons. 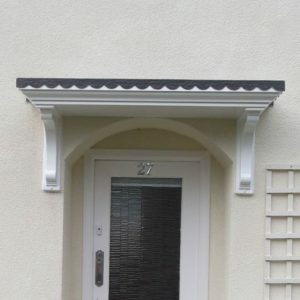 Click here to download our The Lerwick Overdoor Canopy assembly instructions.